‘If you're looking to #HowToUAE, here's an event you don't wanna miss; SOLE DXB - launched 2010 and it only gets better and better. This event has grown leaps from its humble beginnings (description proven and tested). Sole takes shoe culture to a whole new level incorporating it with creativity, passion, and fashion - I'd say the biggest movement in the region. Not only Sole allow participating brands like Puma, Adidas, New Balance, etc to showcase themselves but it also open doors to local brands and retailers. Last 18th and 19th of November was a blast. Sole DXB surely knows how to throw a party. It was crowded but also satisfying to see people sharing one passion. I'm not sure how many Adidas Superstar and NMDs i spotted, whew! You can literally look down for hours and not get bored. As much as a lot of people enjoyed the "shoe"case, I loved everyone's outfit. I will not even compare it to Fashion Forward because they are totally different, but I'm definitely using the word RAD and DOPE for this. People ditched the heels and dig the sneakers. 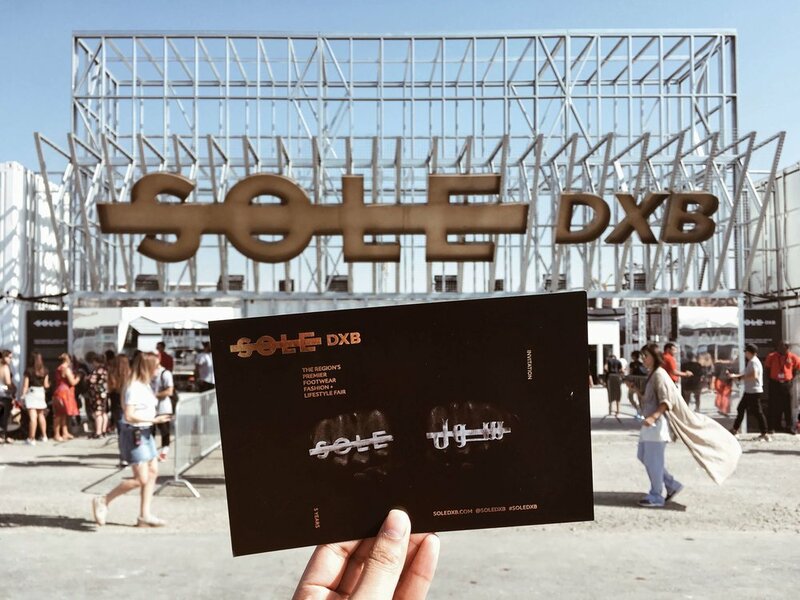 If you're looking to attend next year, watch out for them at http://www.soledxb.com/. There will be an open registration normally a month before the event if you wanna avoid paying. So for now, let me shut up and I hope you enjoy these photos. Planning to attend next year? What's your favorite shoe brand? Are you a sneakerhead? Any shoe you're planning to cop in the next 3 months? I'll be honest, I'm not super into sneakers but SOLE DXB makes me want to cop a new one for next year!